I used to open these Score blasters all the time. In fact, some of my very first Youtube videos were of these Score blaster breaks. 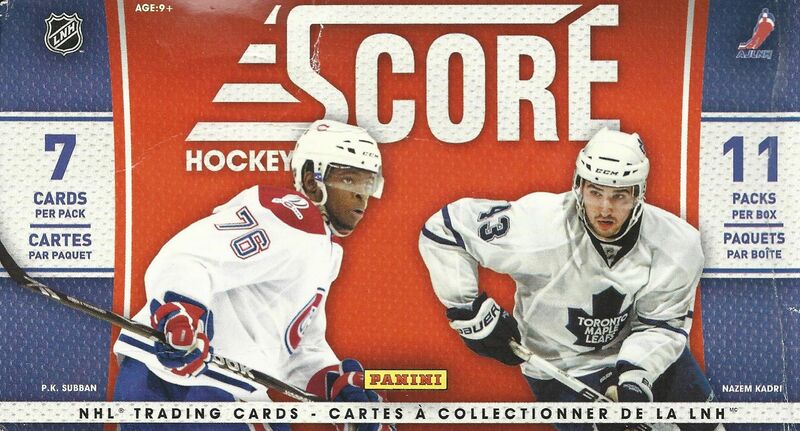 Score was a great start to Panini's foray into hockey way back in 2010. It was a great product that was very well received by collectors. It'll be fun to open up one of these boxes again. I can't say that there is a ton to look for in this blaster, but Score isn't a dud product. 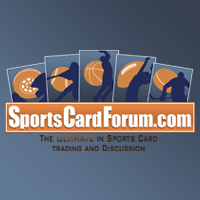 Panini put in a lot of fun (and potentially rare) cards into this set. French back cards were especially tough cards to find... and could be a bit confusing. It sounds like these cards would have French instead of English on the back side of the card. That's not the case. French backs just have a few extra lines of French added to the card. I believe there are only 10 of each card made this way. It's hard to say because they are not individually serial numbered. I'm sure there are collectors and people out there who have them in their collection but just don't know it. I can't really expect to find a French back here, but it's not unreasonable to expect to get some Hot Rookie cards as well as a few inserts. 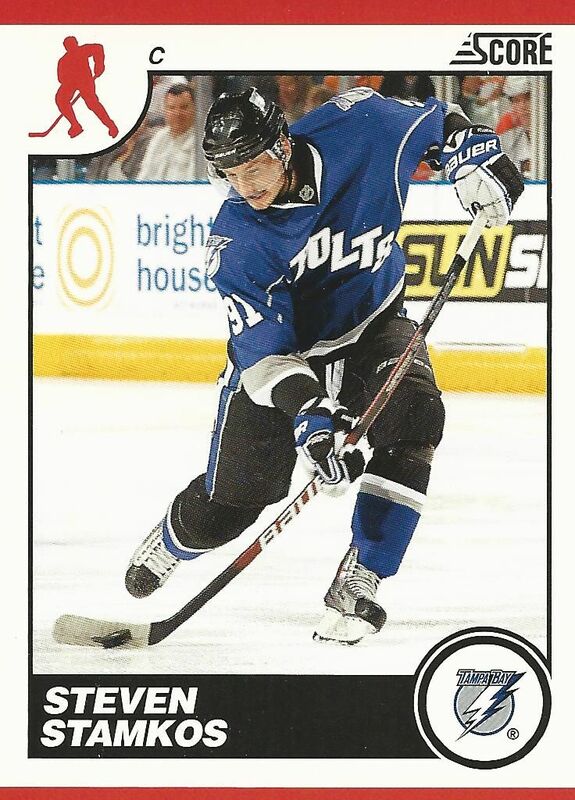 Glossy versions of the cards also come one-per-pack. There isn't a whole lot to distinguish these cards from the standard base... and if you sleeve the cards, it makes it even more difficult to tell. Putting a printed indicator that the cards are glossy would have been a really good thing to do. Actually a pretty nice blaster box here! 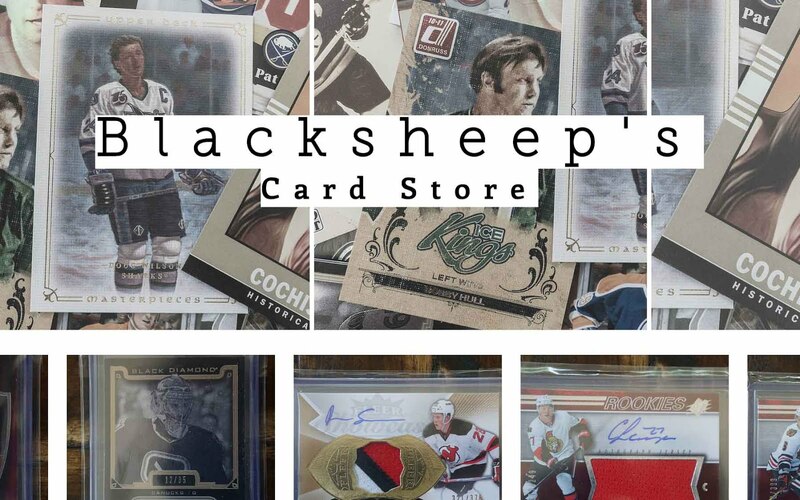 I was able to nab a couple of strong rookie cards and a few good insert cards. It was great fun opening this box once again, and I would happily open another. It was exciting to actually see what glossy cards I would get. With a set so big, getting a good glossy would be pretty difficult. But yep... I think a very nice glossy did come out! It was pretty cool getting an Antti Niemi Net Cam card. 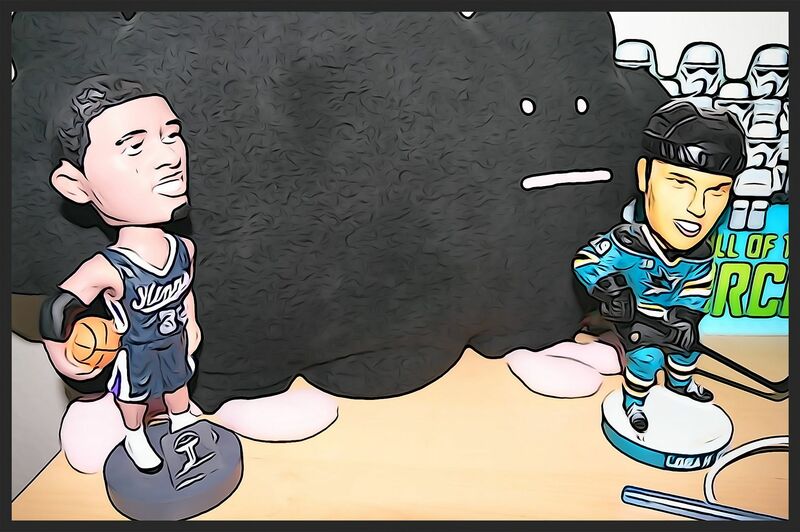 The card states that he is a Sharks player, but he is decked out in his old Blackhawks gear. I think it's easy to forget that he won a Cup with the Hawks way back in 09/10. This was the nice glossy that I mentioned in my review. It's always awesome to get a sweet parallel of a really great player. I'm definitely happy with this card. 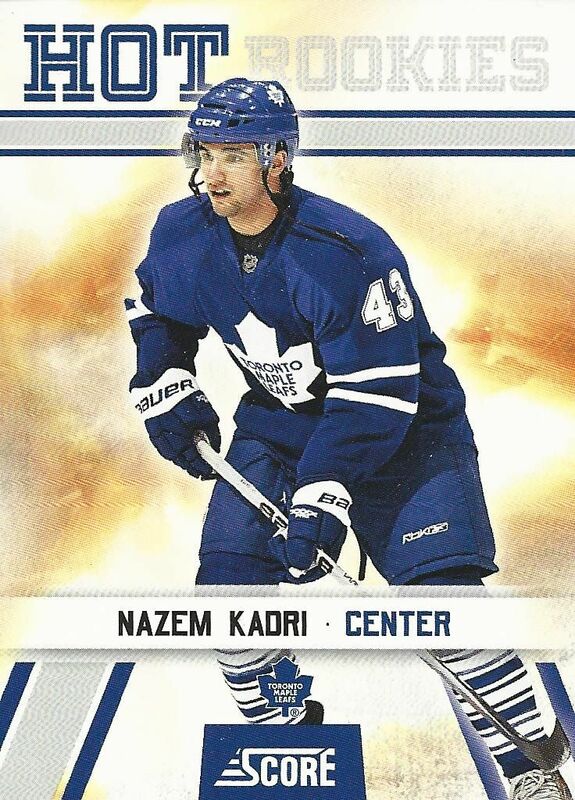 Kadri was one of the top rookie cards to get back in 10/11. As a Maple Leaf, he had a lot of hobby interest. He was so popular that he made it as one of the two players on the side of the blaster box. Hey look! I got both players featured on the front of the blaster. 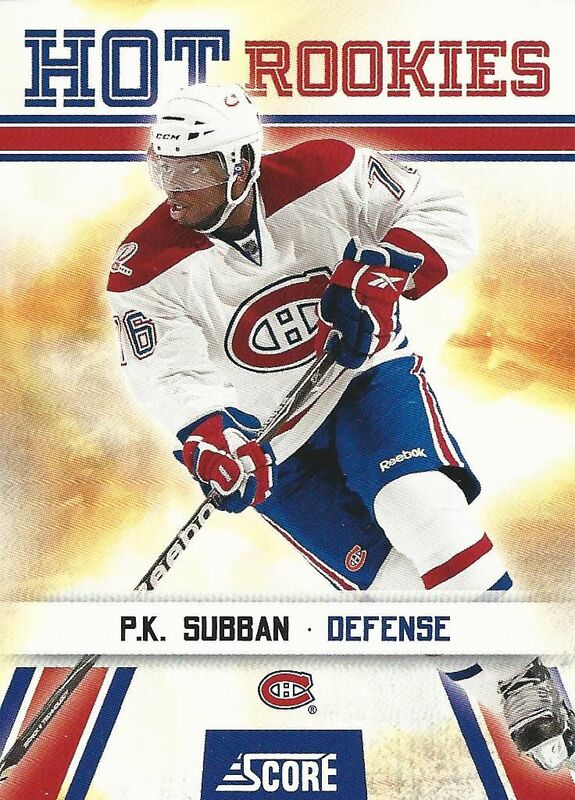 Subban was one of my PC players back in the day, and I wish I kept at it. He's definitely polarizing, but I like the moxie that Subban plays with on the ice. For a little under $5 this was a great buy. I was able to get two of the top rookies from that year as well as a strong parallel card of a star NHL player. This blaster was great fun to open, and I'm glad I got to open it! Excellent value.